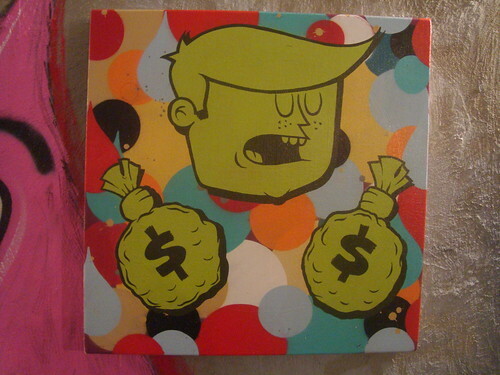 Nylon - Money Bags, uploaded by nolionsinengland. We haven't had the chance to get to Bighton yet and see the Heavy Artillery – Haters Show at Prescription Art Gallery (blogged here), but our friend Nolionsinengland over at Graffoto blog was there and have not only a review of the show here but also some great photos of the work on his flickr here. The show features new works from Insa, Nylon and the Heavy Artillery Crew. Get yourself down to Brigthon and check the show.